Do you find yourself in this situation… You’ve always wanted to start something for yourself but you don’t yet have the right business idea? Perhaps you actually have a few ideas but you’re not sure yet which idea to move ahead with? Maybe you have a business already but it’s a little bumpy right now. Before you go any further, you need to make sure you’re not making one of these 7 mistakes. 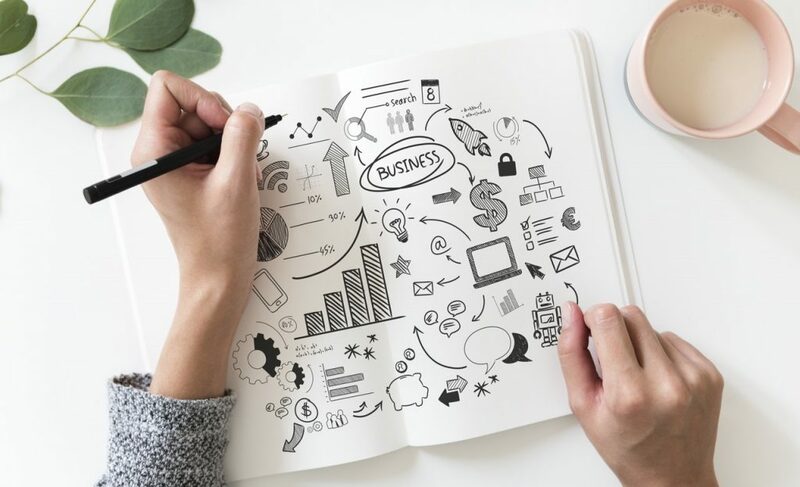 These mistakes could be preventing you from starting a business with the right mindset or growing a successful business. So let’s dive into the 7 mistakes you could be making when searching for a business idea, how to identify them and how to correct them. A lot of successful businesses started because the founder was down on his or her luck and needed to make ends meet and to survive. Needing to make money can be a definite motivation booster to succeed in business! Also, some people are just naturally talented and can turn a business idea into cash flow in no time. However, if you aren’t in extreme or immediate need of money or if making money isn’t second nature to you, and instead think: “What business can I start to make the most money?” then that’s the wrong mindset to make a business succeed. What you need to make a business fly, even if you have no entrepreneurial skills or background is PASSION! Therefore, if you are looking for a business idea, make sure to know your big “WHY” behind it. If you want to make money, ask yourself first what is that money for? What is the dream you are chasing and what will that money allow you to do for yourself and your loved ones. Also, if you really care about your clients and serving them, if you really care about making an impact through your business, this passion is what will give you the energy and drive to see through the toughest obstacles and succeed in the long term. Indeed, starting a business is not a straight path to success. 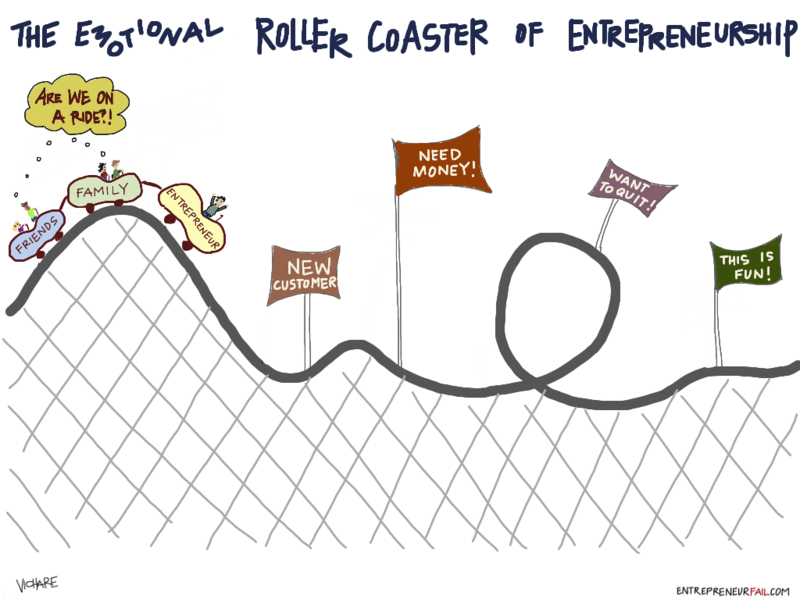 It’s a roller-coaster ride of ups and downs that will only make sense if you really believe in what you are doing and if you put yourself wholeheartedly into the mission of your business. So you can’t be doing it just for the money. If you are financially comfortable or have a secure job, money alone isn’t enough to motivate you to stay on track with your business. Here is the catch, passion is not enough to succeed neither… You still have to desperately need or want to make money! If you’re not focusing on making your business profitable, then this can be a straight path to failure! Perhaps money isn’t the main motivator, but it should still be a priority. Businesses must strive to be profitable. Even if you decide to launch a non-profit, generating revenue for the non-profit will be critical for its survival and longevity. Whether it’s for profit or not, if you care about the impact you want to make, understand that money and profit is what will help you get the resources you need to make a major impact. Make sure that you are determined to generate consistent revenue. And don’t be discouraged if you don’t make money in your first few years of business. Many great businesses take years to make a profit… but they can only do that when profit is a priority and when the founder knows the “why” behind it. Running a business is not a hobby. And if you are honest with yourself and do it just because you love it and find it fun, then call it a hobby, an expensive hobby, but don’t call it a business. You might even be telling yourself these lies about making money. Perfection is simply an excuse to not get started. Perfection is the enemy of growth and improvement. You might already know this but you really need to understand it: there is never a perfect moment or perfect idea. You will be waiting forever if you believe this. Take action don’t just dwell on it! Perfection also can mean fear of failing. You don’t want to start until you think everything is ‘perfect’ because you don’t want to mess up. You don’t want to let yourself or other people down. But listen: so what if you make a mistake? As long as you focus on giving value, stay genuine, care about your customers, and do the right thing to catch up when you mess up, people will forgive you! Failure is one step closer to success and growth. For most people, the first business they start is rarely the last one. It’s an evolution and you have to allow yourself the room to grow and change your company if needed. You’re not alone. Many people have a fear of failing. In episode 87 of the podcast, my conversation with Lillian Small is about exactly that: how to deal with the fear of failing. Listen from someone just like you on this journey to entrepreneurship and the advice I give her to keep going and move forward with it. If you’re thinking of starting a business and need an idea, then get started right away with the first steps. Start researching the idea. Figure out what type of business you’d be interested in. Learn about the same types of businesses. Reach out to groups and people who are in the same space to understand what goes on behind the scenes. Some business ideas might have already crossed your mind and you might have eliminated them simply based on an assumption or a guess you’ve made. Some of these thoughts might have crossed your mind even before doing any research: “It’ll be too complicated to implement”, “I have to invest too much”, “It’ll take too long”, “Nobody will be interested”, “Nobody will pay for it”… There are so many excuses you can make based on assumptions. If you find yourself saying anything like this, then go back to your ideas and analyze them carefully. Research and test your ideas. It’s important to figure out what already exists, what doesn’t exist and what exists that you could do better! Even before you launch your business, test your idea with a small group of people. And if you have already launched, it’s never too late to test it anyway before moving any further. Google it! Search for companies who offer similar products. Research websites, magazines, podcasts, anything that addresses the industry you’re trying to tap into. Talk to people who have the problems and desires you want to impact with your business. Go to events and trade fairs. Join an association or clubs relevant to your industry and audience. Interview people in your industry. Learn from those who have already succeeded. Make regular surveys, create focus groups and beta tests for people to give you feedback on your product or service. While doing your research and testing your business idea, make sure to have an open mind and come from a place of real curiosity. The purpose of testing and researching is to look at your business from a perspective different than yours. Learn, listen and ask questions. Don’t come from a judgmental place and please don’t compare yourself with others. You need to put that aside to really make sure your business idea is worth pursuing. When looking for a business idea, the initial phase will be filled with brainstorming, exploration, and wonder. Searching for business ideas and discovering new ideas can also be very exciting. Go out there and explore the possibilities! However, know that your creativity, excitement, and energy might lead you astray that you end up moving fast but moving nowhere. That’s when you need to FOCUS. Once you allow yourself a reasonable time to explore, you must choose 1-3 business ideas and start building a plan to know which one you will choose. Design a clear plan with baby steps to get where you want to be. Focus on achieving one step at a time! Follow my acronym for the word FOCUS and repeat it to make it your mantra too: Follow One Course Until Success. This has helped me to find the right business idea for me, launch my business and I remind myself of this every time I feel I’m spreading myself all over the place! You can’t do it all at once. And you need to stay focused in order to move forward. Most importantly: Be patient! Understand that success doesn’t come overnight! What a waste of time and energy to try to figure it out all by yourself… And more than that, I believe it’s actually a real guarantee of failure to not seek help when you need it. In the early stages when looking for a business idea, you might need help in understanding what you really want with your life and career. Or, you might need help identifying your skills and knowing how to transform them into a business. Get input from others around you to find the problem you can solve with your business idea and the skills you need to make it a profitable business. Involve your partner, family and friends. Brainstorm and bounce ideas off them, get constructive feedback. Find yourself an accountability partner. This is a person that will keep you accountable to your goals and tasks. If you tell them you are going to do something then you’re most likely going to do it compared to if you had told no one. This person can check in with you and make sure you’re on track. It can simply be another budding entrepreneur and you can repay the favor. Find yourself a mastermind group. This is similar to the accountability partner but in a group setting and takes it a step further. The concept is peer-to-peer mentoring to help members solve problems with input and advice from the other group members. Get yourself a mentor or a coach. A more formalized approach to achieving your goals. A mentor or coach can provide invaluable advice based on a lot of experience in working with other clients. INVEST in the help and support you need. Entrepreneurship is a journey and no one who has succeeded has done it by themselves. Before even starting a business, you really need to make sure that you’re aware of what you really want for yourself in your life, career, and family. A business needs to be aligned with your life vision, your values, your purpose and your lifestyle. If you don’t have a clear idea about it, then make sure to work on clarifying these elements first! Starting a business can be very demanding, so you want to make sure to also build the right routines and system to make it happen. Be aware of the other obligations you might have in your life and how the business can impact your desired lifestyle. For example, as expat partners or global nomads, it’s important to build a business model that’s portable. A business that allows you to run it from wherever you are and provides you the time and flexibility you need while living on the move. There’s nothing worse than spending all the time, money and energy into a business that is locally implanted that you’ll have to it leave behind when you move again. Unless you have built a business that doesn’t depend on you and have an amazing team to run it, there’s no chance for the business to survive without your physical presence. 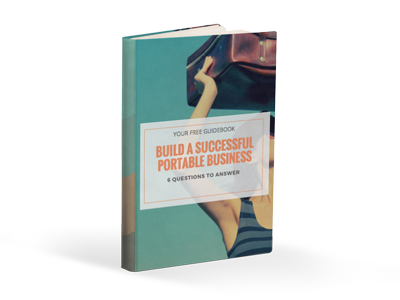 A portable business is the answer. To stay up-to-date with news and resources to help you on your journey starting a portable business. Sign up for the Tandem Nomads newsletter.